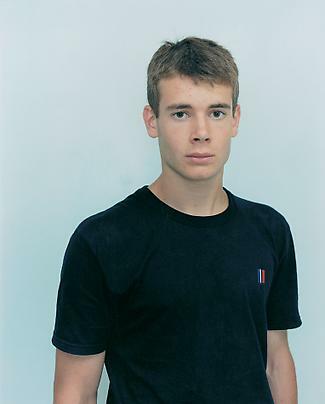 Opening reception: Wednesday, September 10th, 6 - 8 p.m.
Marian Goodman Gallery is delighted to present an exhibition of new work by Dutch artist Rineke Dijkstra. This will be her second solo exhibition at the gallery. 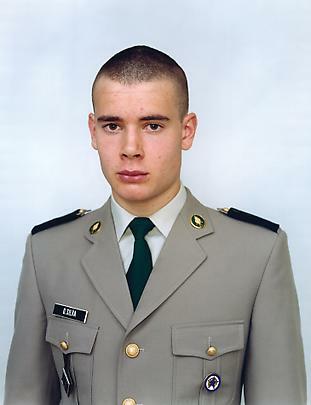 The exhibition will open to the public on September 10th and continue through October 11th. The gallery's hours are Monday through Saturday, from 10 a.m. to 6 p.m. 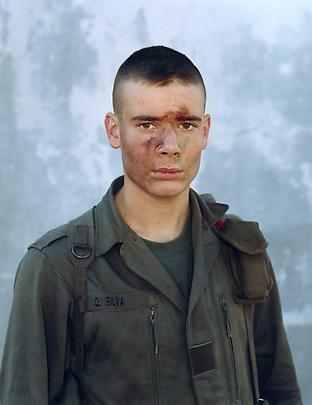 The artist will present a new series of works in the South Gallery, developed in continuum over the past three years, in which transitional moments in young lives and the incremental passageway to adulthood are seen via young soldiers in military training. 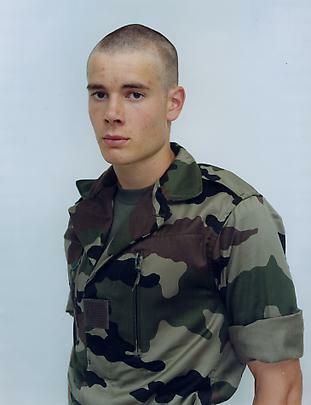 The show will include portraits of a French Foreign Legion officer, known as "Olivier", at precise moments in intensive training in France and Africa: from his first day in the Foreign Legion in July 2000 in Aubagne (near Marseilles), to the moment when he is sent out into various parts of the world--Gabon, the Ivory Coast, and Djibouti-in 2003. 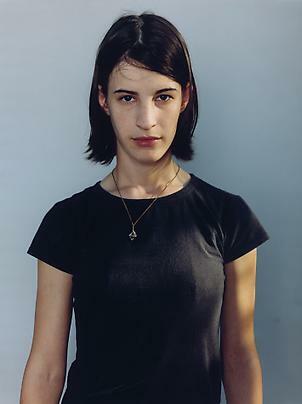 About this group of works, a selection of which were first seen in a debut exhibition in 2001 at The Art Institute of Chicago, the artist writes: "In my work I look for specific characteristics of individual people within group settings…. 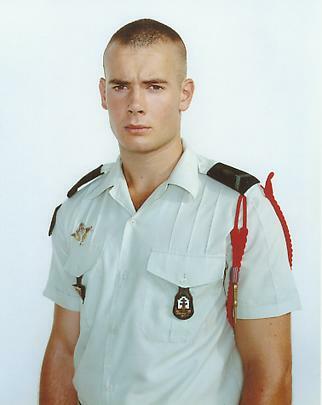 military service implies that one has to submit to a collective identity. There is always a tension, however, between the values of the individual and the values of the community. I am interested in the paradox between identity and uniformity, in the power and the vulnerability of each individual and each group. It is this paradox that I try to visualize by concentrating on poses, attitudes and gestures." 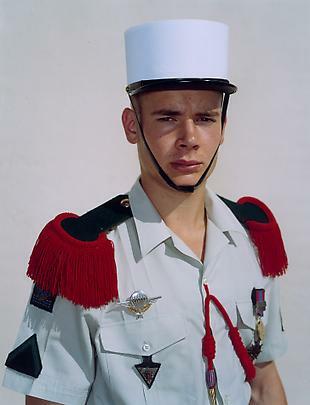 Rineke Dijkstra's work has encompassed numerous series which capture the subject at a decisive moment of transition, often apprehending the rite of passage of adolescence, and rendering it in full frontal portraits which define the shift to incipient adulthood or the interval, whether physical or psychological, between changing identities. 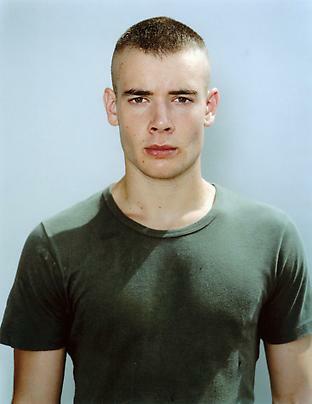 Rineke Dijkstra was born in Sittard, The Netherlands, in 1959. 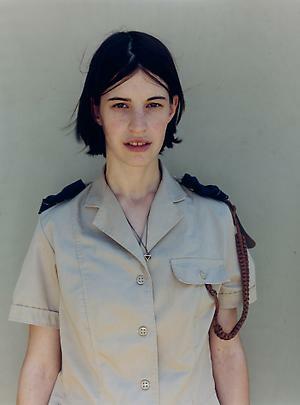 She attended the Gerrit Rietveld Academy, Amsterdam, from 1981-1986. 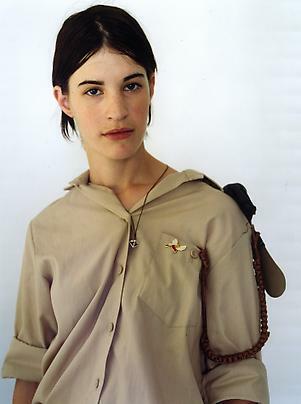 She has received numerous awards, including The Citibank Private Bank Photography Prize, 1998; the Werner Mantz Award, 1994; the Art Encouragement Award Amstelveen, The Netherlands, 1993; and the Nomination for Young European Photographers, 1990. 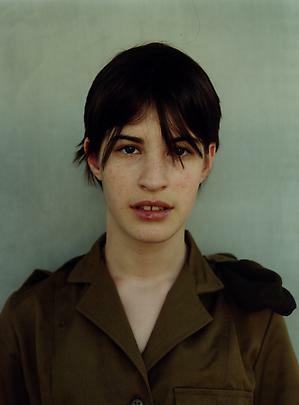 Her one-person exhibitions have included "Rineke Dijkstra: The Tiergarten and the French Foreign Legion" at the Frans Halsmsueum (De Hallen), Haarlem, The Netherlands; "Focus: Rineke Dijkstra" at The Art Institute of Chicago; "Portraits" at the ICA, Boston; and "Israel Portraits" at the Herzliya Museum of Art, Israel, in 2001; "The Buzzclub, Liverpool, England/Mysterworld, Zaandam, NL" at MACBA/ Museu d'Art Contemporani de Barcelona, Barcelona in 1999; Museum Boymans-van Beuningen, Rotterdam; Sprengel Museum, Hannover; and Museum Folkwang Essen and Galerie der Hochschule fuer Grafit, Leipzig, Germany, in 1998; and Le Consortium, Dijon, 1996. This Fall she will participate in the upcoming Photo Triennial at ICP/ International Center of Photography, New York, as well as Cruel and Tender: The Real in Twentieth Century Photography at the Tate Modern, UK, which will travel to the Ludwig Museum, Cologne; and Girls Night Out at the Orange County Museum, Newport Beach, California. Other selected group exhibitions have included: Moving Pictures, Solomon R. Guggenheim Museum, 2002; At Sea, Tate Liverpool, Uniform-Order and Disorder at PS-1 Long Island City, NY, and Platform of Humankind, Venice Biennale, in 2001; Let's Entertain, Walker Art Center, Minneapolis, and Regarding Beauty: A View of the Late Twentieth Century, Hirshhorn Museum and Sculpture Garden, Washington, D.C.; 24th Sao Paulo Biennale and the Berlin Biennale, 1998; and the 42nd Venice Biennale, 1997.